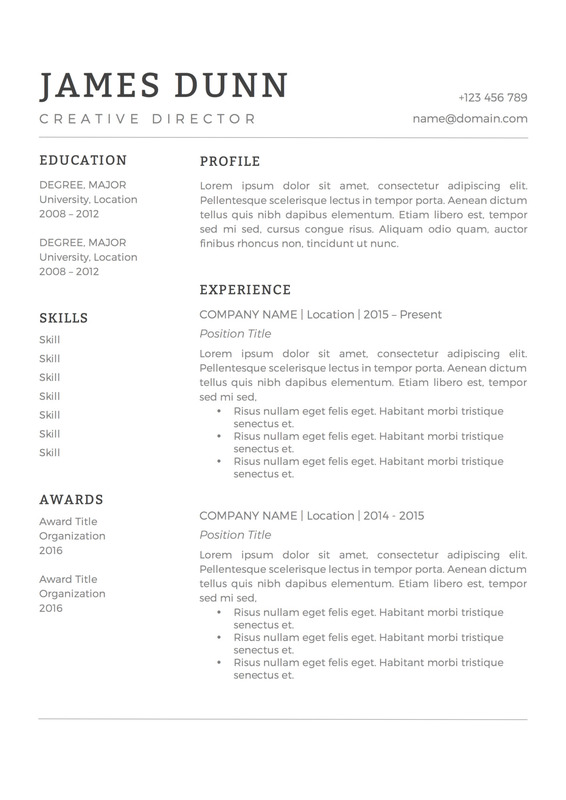 James Dunn Resume is a minimal template that combines the use of slab serif and sans serif typefaces. The combination of modern typography and grayscale palette is easy on the eyes of hiring managers. 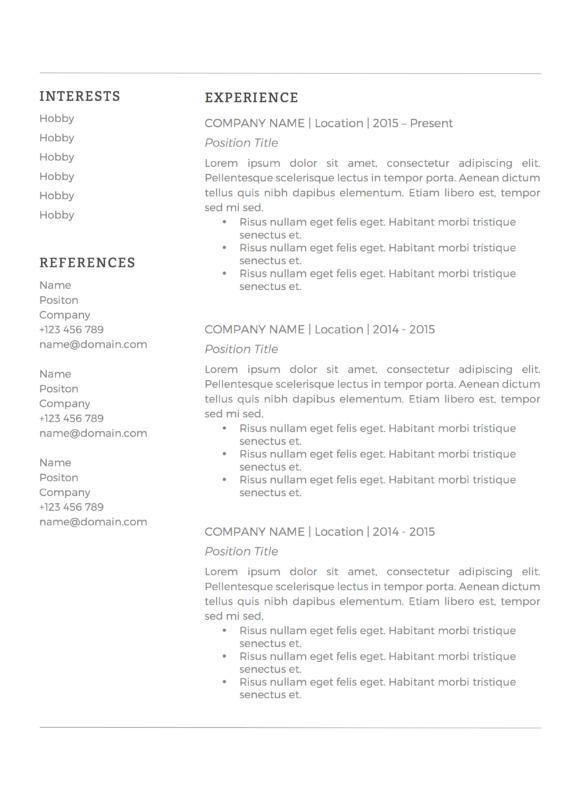 Similar to most resumes, this template has sections for Contact Details, Profile, Experience, Education, Skills, Awards, Interests, and References. Second page is also included if you have a rich working experience. 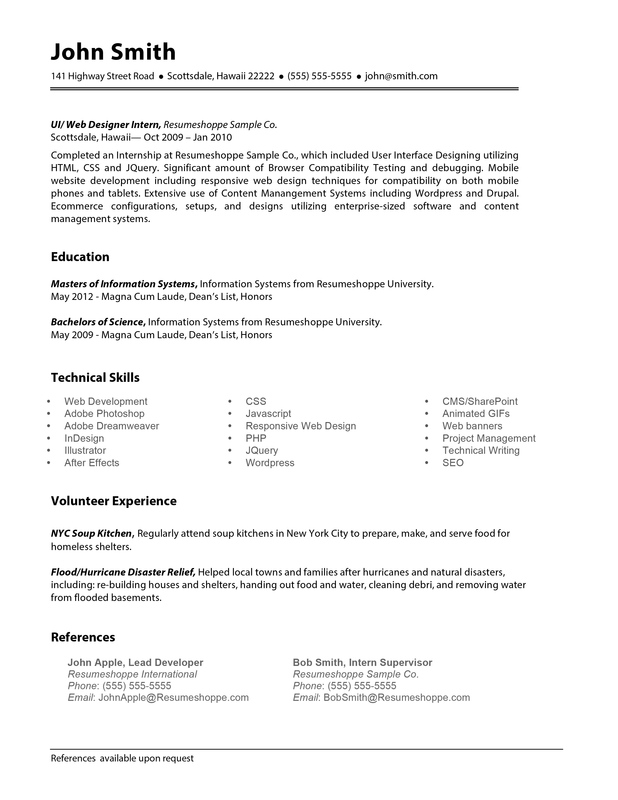 Need a one page resume? No problem! Simply open the document in Microsoft Word or Apple Pages and delete the second page. Besides, you can change the font style and formatting, remove or add more sections using Microsoft Word or Apple Pages too. 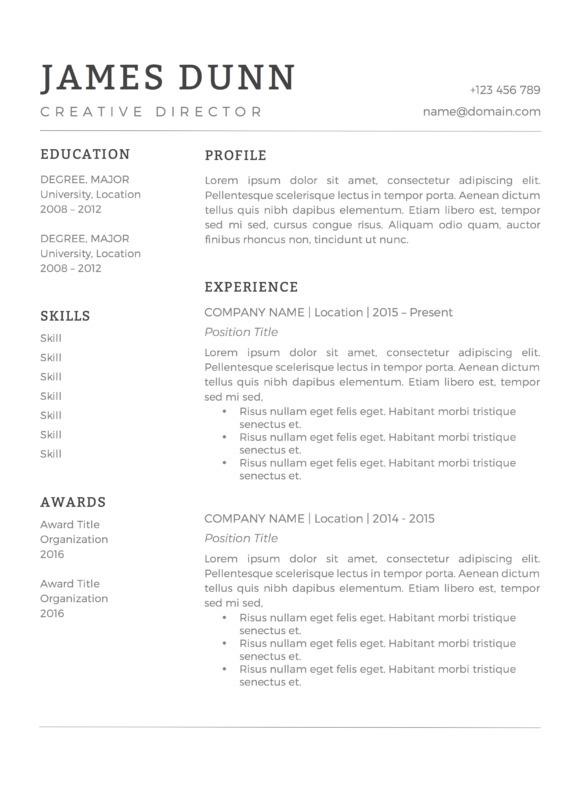 Get James Dunn Cover Letter to go along with this resume template. Check your email for the download link (if you don’t see it in your inbox, check your Spam or Junk folder). Open the A4 or US Letter version in Microsoft Word or Apple Pages and start editing it with your details. Once you are happy with the changes, save it as .docx so you can make changes in the future. 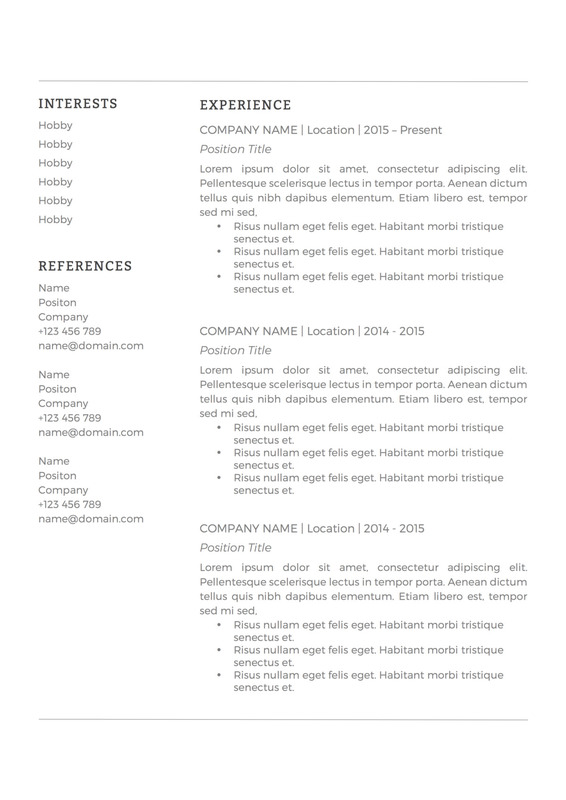 If you wish to share your resume online, save it as .PDF and publish it. Or print it out and bring it along to your job interview.